The Essence Number is a common characteristic in Numerology. It provides an outline of your possible future and the situations that can happen during your journey. It is based on your name and is derived from the numerical value of each letter in your name. Each number bears information on the advantages or disadvantages of a certain person. This calculation is quite complicated, so you might need some help not to confuse the numbers. You can use the numerological calculator to get your Essence Number. 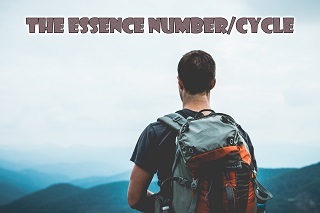 Also, there are differences between personal cycle number and essence cycle number. These two numbers are usually joined together, and there are specific rules applied to use this combination properly. If your essence number is the same as your personal number, it means that you have a duality. It is usually a sign of a lack of inner balance. For example, if your personal year number equals 4, the same as your essence cycle number, it is associated with a lot of hard work, emphasis on professional development, and a scrutinizing approach to everything, which is stressful. Also, lots of factors in your life ask for your attention, and you’ll feel that you are scattering your life on different errands and trifles. Essence number consists of the letters of your first, middle, and last name added altogether or, in other words, if you sum all your transits (mental, physical and spiritual). The Essence Number is all the Transit Cycles of a specific year of your interest added together and reduced to a single-digit number or a master number. Essence Number 1 - It is a period of innovation and a brand-new chapter in your life. Essence Number 2 - This period will be marked as a time to slow down and limit your activities a little bit. Essence Number 3 - During this time, you will be surprised by how fast and determined you are.